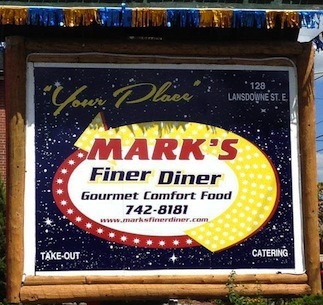 Mark Loescher has moved his well known business, Mark’s Finer Diner, into Peterborough at 128 Lansdowne Street. You’ll find the same great food for breakfast, lunch and dinner, catering and eat in or take out, plus a licensed bar and lounge upstairs called Your Place. The lounge is currently running a logo contest with an entry deadline of this Friday (October 4). Details at Marksfinerdiner.com or find them on Facebook. Lawrence Smoot’s company, Virtual Man Friday, offers virtual assistant services such as data entry, research, Webpage or blog content, as well as meeting planning, real estate photography, location scouting and personal concierge. Lawrence has a Masters of Public Administration and over 25 years of administrative experience. Visit Virtualmanfriday.net or call 705-927-5056. Sofie Andreau and Winston Bromley have just launched the Social Media Business Institute. They offer organizations and individuals an all inclusive self paced social media learning platform. In the Social Media Fast Track certification program, members are trained in Strategy & Planning, Management, Measurement, Facebook, Twitter, LinkedIn, Video, Pinterest & eNewsletters. Plus there is a live training session on October 9. Details at Socialmediabusinessinstitute.com. To submit your new business to Stu's "The Business Beat", click here.